1) According to your opinion, why younger people are prefering this new model of “sharing services”? The younger generation expect goods and services to be delivered on the customers premises, rather that being on the receiving end of a corporate value chain. The millenial generation has also expressed a lack of trust in incumbents and are craving an alternative. Various surveys state that younger consumers rather trust peer reviews over expert opinions, which favor sharing economy services. 2) What are the main benefits of “sharing economy”? Most services associated by the sharing economy are all about convenience and ease of access. This relieves any friction built up over time in the exisiting delivery models by established companies. The main benefit is in many cases a creative destruction of obsolete and inefficient business models. 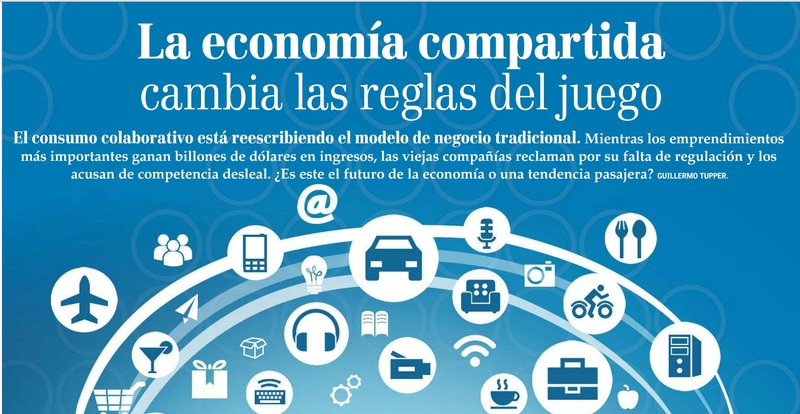 3) How is the “sharing-economy” services affecting traditional businesses and workers? And how are they going to adapt to this new reality? The sharing economy is impacting existing businesses and workers in many ways, but there are two main implications. For existing businesses that have failed to renew themselves over time, the sharing economy represent a disruptive force that are challenging the playbook of existing markets. In some cases sharing platforms create a much sought after equillibrium of supply and demand. For workers the sharing economy can provide a secondary income for some, but it will also act as a fundament for freelancers of various professions. 4) According to your opinion, will automation and sharing services replace traditional means of production? Why? This is a question it is impossible to give a definitive answer to. Many exisiting means of production today are inefficient and ripe for replacement, and will undoubtedly be replaced, either partially or fully (Just look at how Netflix replaced Blockbuster Video). While some services are of various reasons best to keep the way they are of strategic or political reasons just to name some. 5) Some “sharing economy” services have run into legal problems. Do you think the tax regulations should apply to internet-era business models? This is the real issue of many sharing services. Both Uber and Airbnb has encountered several issues regarding taxation. The question actually rise more follow-up uestions than answers when I think about it. Should people providing services pay income taxes or be taxed as a business. Perhaps the best solution is the creation of a whole new taxation class for sharign economy freelancers? I’m really on the deep end here, so I think I’ll leave this one to the lawyers!